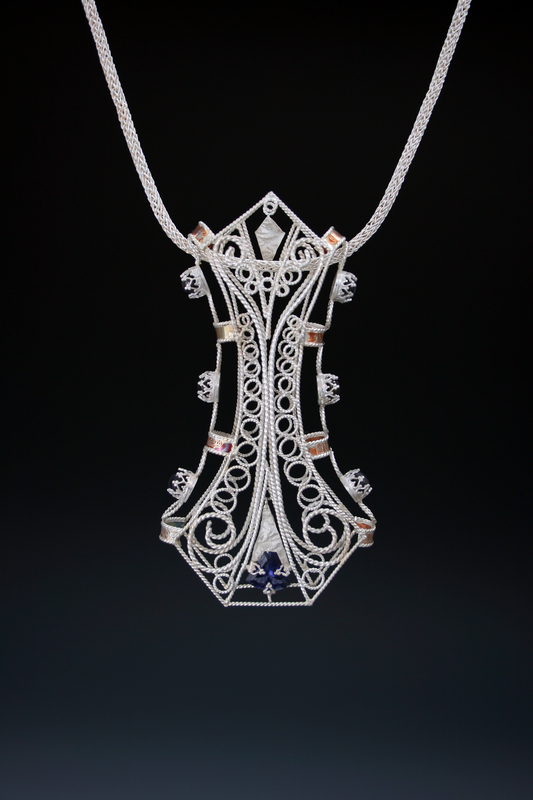 Gina Rosienski's final report contained photos related to her project, which was entitled "Argentium Silver With an Emphasis in Filigree." 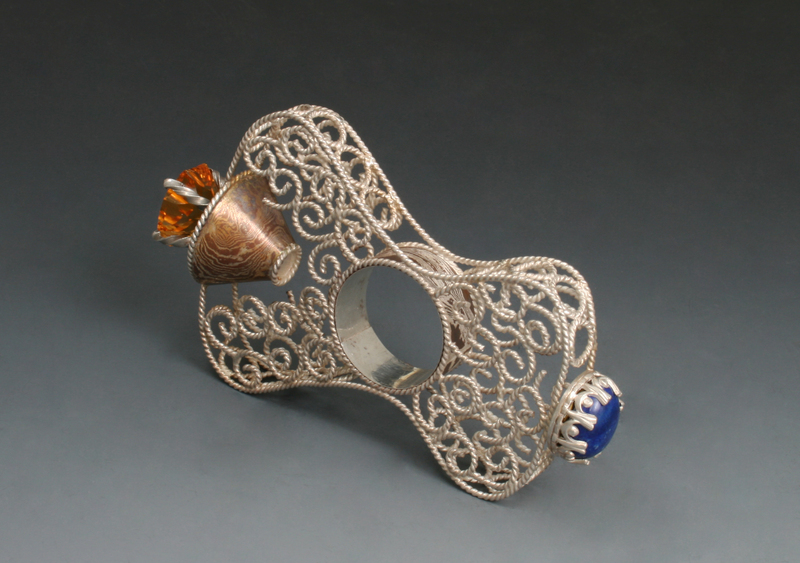 Gina was a student in the 2008-2009 URCA Program in Art and Design: Metalsmithing. The URCA Associate Interim Report is due at the December meeting. Basically, this report serves as an opportunity for the both Associate and mentor to gauge how the project is going thus far while still allowing time to adjust and make changes if needed before the URCA Associate Program draws to a close in April. The interim report should be one page in length and includes comments from both the Associate and mentor. The URCA Associate Final Report serves as a permanent record for the Associate's research or creative endeavor in the program. This report should summarize the Associate's entire body of work in the URCA Associate Program, and answer any pertinent questions a reader may have regarding the student's project. It should also serve as a foundation for anyone who may want to do a follow-up project in that particular area. A hard copy of the report is due the Friday after graduation in the Spring Semester. The final report should be a minimum of three to five pages, but can be much longer, depending upon mentor, department and/or Senior Assignment guidelines. Both the interim and final report require signatures from Associates and mentors. Both reports will remain permanently on file in the Office of Academic Innovation and Effectiveness and available for viewing to interested parties. For more information on the Undergraduate Research and Creative Activities Program, contact Dr. Laura Pawlow at (618) 650-2608 or lpawlow@siue.edu.